Our 80’s night is back on Friday 23rd November! 80’s fashion dress up is highly encouraged! 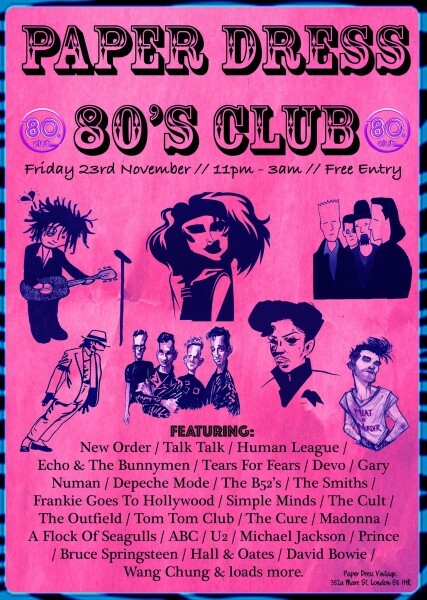 New Order / Talk Talk / Human League / Echo & The Bunnymen / Tears For Fears / Devo / Gary Numan / Depeche Mode / The B52’s / The Smiths / Frankie Goes To Hollywood / Simple Minds / The Cult / The Outfield / Tom Tom Club / The Cure / Madonna / A Flock Of Seagulls / ABC / U2 / Michael Jackson / Prince / Bruce Springsteen / Hall & Oates / David Bowie / Wang Chung & loads more. Friends Serene present a live show from Calluna and Blackaby. 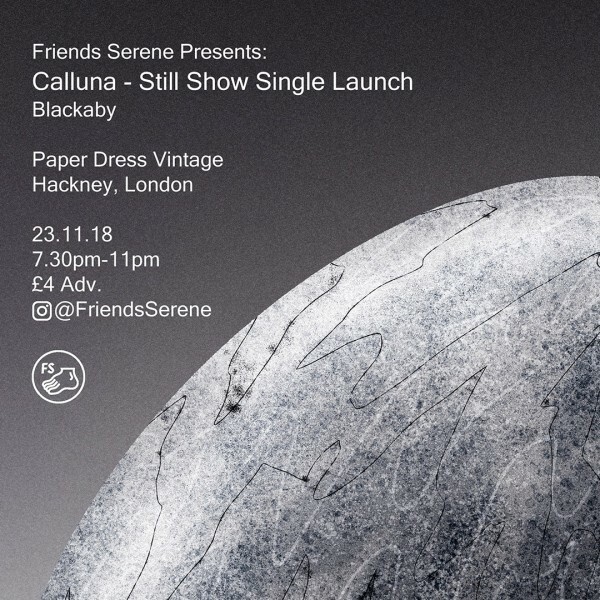 Delighted to announce that Calluna will be joining us for a special headline show at Paper Dress Vintage on Friday 23rd November 2018! Their show with us at The Shacklewell Arms in May was insane so this is not one to be missed. We’ll also be joined by the amazing Blackaby.